Editage, a leader in English-language editing and publication support services, is now set to offer its services for manuscripts on healthcare research to the Lippincott Williams & Wilkins (LWW) journal portfolio. This initiative is directed to provide editorial services and online educational resources from Wolter Kluwer to the journal, a leading global provider of information and point-of-care solutions for the healthcare industry. As a result of the partnership, and the release of a new Author Services website, the authors can now have access to comprehensive online educational resources related to manuscript preparation and information on industry trends. 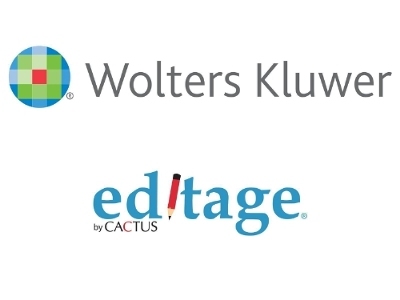 Editage will offer language editing and translation services to Wolters Kluwer authors. “The influx of medical research papers to Western journals coming from Asia and other emerging markets where English is not the first language of the author is creating challenges in the manuscript submission and peer-review process for the author, editor, and reviewers. This partnership with Editage allows us to offer comprehensive editorial services that will provide vital help to researchers around the world. Their services help to improve the quality of author manuscripts and ultimately the quality of published research,” said Jayne Marks, Vice President, Global Publishing, Wolters Kluwer, Health Learning Research & Practice (as quoted by PTI). Donald Samulack, President, U.S. Operations of Editage adds, “Editage is proud to align with Wolters Kluwer to help serve the needs of the global scholarly community. Together, the manuscript support services and author education we provide will help scholars break through the confines of geography and language, bridge the gap between authors and peer-reviewed journals, and accelerate the process of publishing high-quality research.” (as quoted by PTI).